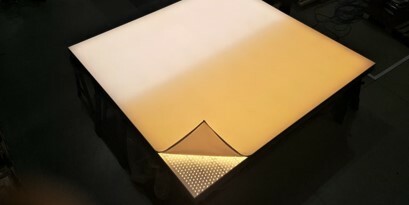 Dynamic White LED Light Sheet Panel allows continuous colour temperature adjustment to suit a particular environment, task or mood – all adjusted remotely with the minimum of fuss. 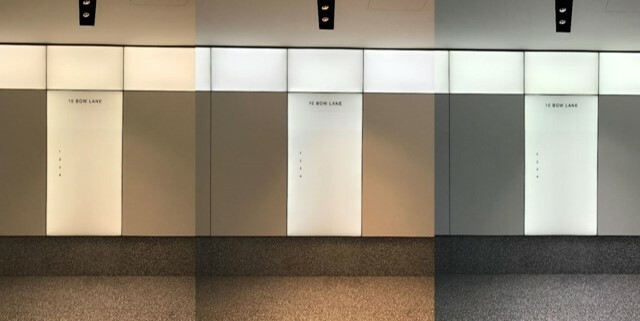 All of our Dynamic White LED systems can be controlled with either a simple touch colour wheel remote control or more sophisticated DALI/DMX devices with Bluetooth or Wi-FI. Dynamic White LED Lighting can dramatically alter the entire feel of a space. This illuminates a new world of flexibility, allowing each area to perform distinct roles as the colour temperature shifts. The colour of light is a major factor in managing customers’ perceptions of quality. The infinitely tunable nature of Dynamic White allows designers to customise the retail installation to suit product, message or season – all with a single installation. 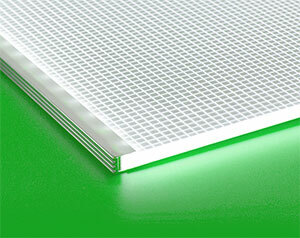 A tunable LED system, allowing the same room to shift from a relaxing warm to a refreshing cool and back again. The same hotel lobby, for example, could be lit with cool light when welcoming conference visitors and ‘warmed up’ for an evening reception, subtly but effectively managing the desired mood.